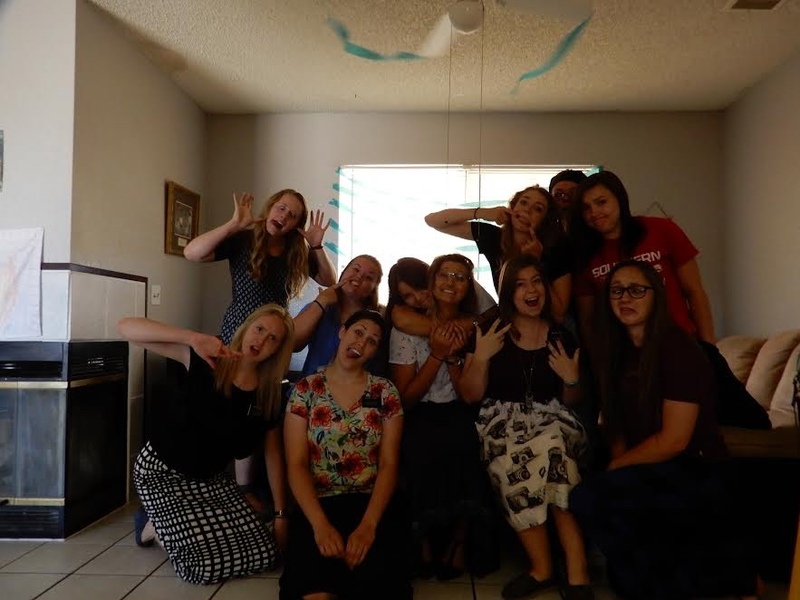 I love my mission family!!!! and it was sooooooo fun!!! Oh the one hugging me is sister Ysasaga! I became very close with her as she was one of my first STLs. She is going home in 2 weeks. WE ARE GOING TO MISS HER!!!! I hope you are hangin in alright! It sounds like things are winding down a bit but it still sounds like a lot. Hahaha I wouldn't be able to do what you do!!!!! But you are such a tough cookie. The amount of faith I have in my wonderful mom is insane!!!! I mention you in quite a lot of conversations with people. You are just so amazing I can't help but talk about you :) On Mother's Day, we were at A's house and so of coarse we were talking about all of our moms. I told her about you and she just stared at me for a moment and said "..........she is one heck of a woman." except she didn't say heck😂 she was in complete awe over you! I felt very proud of you. You really are a spiritual giant! And that is how you get through life with grace. I think of how much you have endured. Because you have centered your life as well as ours, on Christ, you have been able to overcome such adversities. AHHHH MOM! YOU ARE SO COOL!!!!!!!!! I came to the realization of something the other day. Again, you were on my mind. I was thinking of how well you raised us and was trying to figure out how you did it. I have compared you to loads of parents that I have meet here and I have yet to meet someone as righteous as you. Spencer, Ben, Preston and I have all learned to follow Christ. Even though raising us was extremely rocky at times (SORRY!!) your faith, hope, charity, dilligence, humilty, obedience, (the list goes on) only strengthened. Mom you are truly remarkable. I firmly believe that Heavenly Father was putting us all through that refiner's fire because he knew that our Mother would stay true and faithful. And because of that we know what we need to do to follow our Redeemer even when times are too much to bear. If you haven't notice I just admire you so much and I am so grateful for you. Alright so highlights on last week! Most of what I'll say is that the heat is getting scary. We are at the end of the month and the miles on our car for this month are shot. So guess what that means! BIKES!!!!!!!!! I have so much respect for missionaries who don't have cars at all. It's brutal!!!!!!!! Something that we have mastered is smiling and waving at people even when we feel awful! But the amazing thing is that we stay happy and surprisingly it makes the bike ride easier. It really does! We had a discussion a couple of weeks ago of how much we love to smile and wave at people. We want people to know that even when its hot and we are riding bikes in dresses, we love doing the Lord's work! And it's true! A couple of days ago for some reason I was having yet another really rough day because I just couldn't stop thinking about dad. 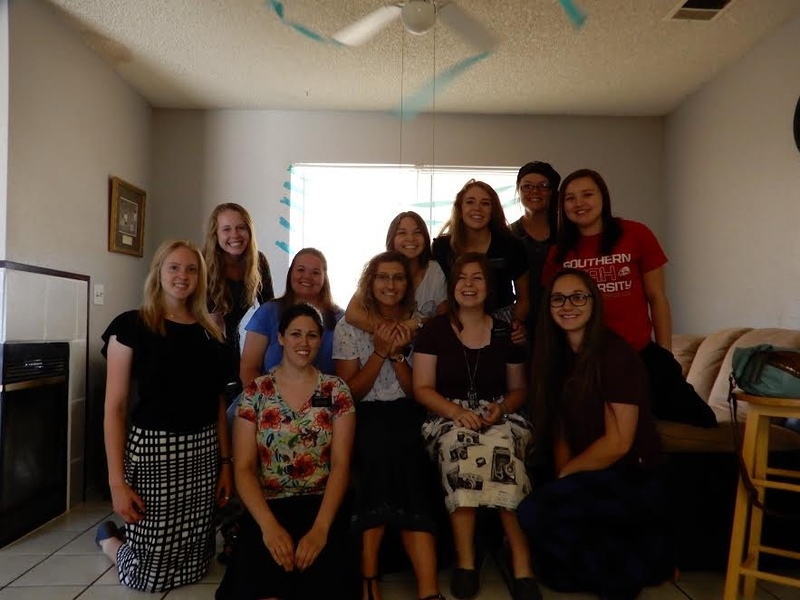 After we talked to a few people that morning Sister Clarke insisted that we eat lunch early. We sat and talked and she let me cry. Really I was just feeling so concerned for dad. I wanted to know if he was happy but doubt was overcoming my thoughts about it. Sister Clarke suggested I get a blessing ASAP. I agreed and immediately I felt strongly to have brother Heywood give me the blessing. I have come to be very close with him and his wife. Their relationship reminds me a lot of Doug and Rochelle :) Brother Heywood dropped everything and came to the church. He began his blessing and the spirit flooded the room. We were all crying. I had never received such a powerful blessing. I wish I could explain all that was said but for now I am holding it sacred. It was exactly what my spirit needed. I know dad is happy and that he is watching over me. I'm grateful for the Plan of Salvation. Last night we went over to A's. We had planned a perfect lesson for her and we were super excited! Half way through our visit our excitement completely changed. She got extremely defensive after we explained how God can fully bless us when we keep his commandments. She immediately thought we were calling her out because she recently drank. She even called her cousin who is a pastor to help defend for her. Since the past 4 months that we have been teaching her she has never fired back at us. We were shocked. I couldn't hold back my tears. I haven't been bashed out here until last night. I wish it hadn't been from someone that we love so dearly. It was awful. We did however leave on a semi good note. We knew we couldn't leave without her knowing how much we and Heavenly Father loves her regardless and we did. I hope we never go through that again. We know there is a valuable lesson to be learned however we are still figuring it out. The next visit we have with her we will drop her. It is going to be hard but it's what needs to happen. Are you ready for the tender mercy?? After we got home there was mail sitting on my bed! Both from you. I received dad's funeral dvd. Naturally I hesitated because why would I want to cry more after we saw A??? Sister Clarke felt very strongly to watch it anyway. So we did. As I watched my beautiful family, love and peace overpowered my restless soul. I felt dad with me to comfort me. After my blessing and watching his funeral the spirit testified to me again that he is happy and is using the healing power of the Atonement. I love him and miss him but I know without a doubt that he is learning and accepting the gospel once again. Thank you for all that you do mom. Thank you for praying for Sister Clarke and I. I feel your prayers. Thank you for helping me serve a mission. I would not be here if it weren't for you. I love teaching the gospel!!!!!!!!!!!! The church is true and the Book is blue!!!! I have felt strongly that Dad is going to be okay. Jesus loves each of us, and He understands us, and suffered for us. He is helping Dad get through all the difficulties of this life. It will all be okay. The atonement of Jesus Christ covers everything. Everything. Hold onto those times when you feel Dad near you. The spirit world is very near, especially for missionaries. Dad loves you, and will watch over you. President Russell M. Nelson, Drawing the Power of Jesus Christ Into Our Lives. "Covenant-keeping men and women seek for ways to keep themselves unspotted from the world so there will be nothing blocking their access to the Savior’s power."